Tired of buying mustard? Make your own whole grain mustard. It’s simple and you can add your own flavors to customize your own condiments to match your menu! I have decided to make my own mustard so that I won’t have to worry about all those unsavory things. Making your own mustard is much easier than I thought. Finding the mustard seeds were a little harder than I thought. I can find all the yellow mustard seeds I need here in my tiny town but the brown mustard seeds were a little more challenging and it required a road trip to Jacksonville and a “fancier” market. A jar is in my future so we are all set! Once you do the basics then you can add your own flavors. For now, on my Whole30, my additions are limited. Some of my favorite mustards are honey, champagne, maple, and horseradish. Since the first three are off the table, we will go with horseradish. Grind your own horseradish root or get a prepared version. I found a few bottles in the store but they have the same additives. The only one I could find was from Boar’s Head. Their horseradish contains only vinegar and grated horseradish so I’ll add it to my recipe for a great mustard that can be used for quite a few things. The basic homemade whole grain mustard recipe is equal parts mustard seeds and vinegar. You can use any ratio of yellow and brown seeds that you want just keep in mind that the brown seeds are spicier than the yellow ones. I used 2/3 yellow and 1/3 brown. You can also use any kinds of vinegar: Balsamic, apple cider, white, or any combination of the above. Mix and let sit out at room temperature for 24 hours. Don’t worry they won’t go bad. Just let them sit and get friendly for a while so they can get nice and soft for their pureeing later! After 24 hours have passed, place most of the mixture in a food processor or chopper of some kind and pulse a few times till you get the consistency that you desire. Add some water and olive oil to thin it out a bit. At this point, you can add in just about anything. Fresh herbs, dried herbs, hot sauce, spices, wine, etc. 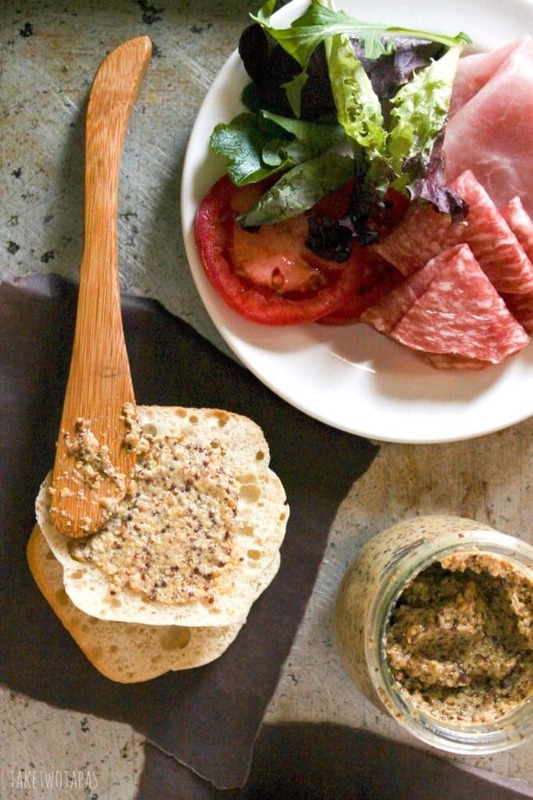 Use this whole grain mustard recipe as a base and make it your own! This also makes a great gift for a friend or hostess! 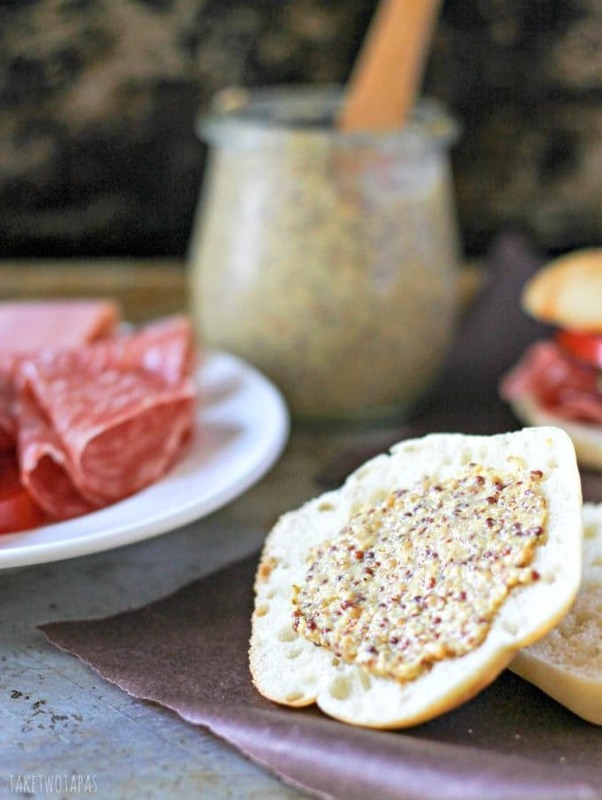 This easy recipe for homemade mustard will keep you from buying the store-bought version! Use it in various marinades and dressings. Mix the mustard seeds and vinegar together in a glass container. Cover with plastic wrap or glass top and leave for 24 hours. After the 24 hours, take 2/3 of the mustard seeds and put in either a blender or food processor. Pulse until you have reached the desired consistency. I like mine with some pop in the seeds so I only pulsed mine a few times. Add the water, olive oil, and salt. Pulse a few more times. Remove to a glass container and store in the refrigerator until ready to use! I was do excited to make this! Sadly my mustard seeds didn’t break down like I wanted them to. They stayed pretty firm. I did however leave the seed and vinegar mixture on the counter for about 5 days. I’ll have to try again bc it tastes amazing! I am so sorry to hear that they didn’t break down. Mine stay pretty firm but my food processor usually does a good job of breaking them up. Maybe try leaving them for a few days and then try the food processor again. Or even a blender. Thanks so much for reading and I am glad you like the taste! I don’t buy store-bought mustard anymore unless it’s an emergency! This is a spectacular idea! 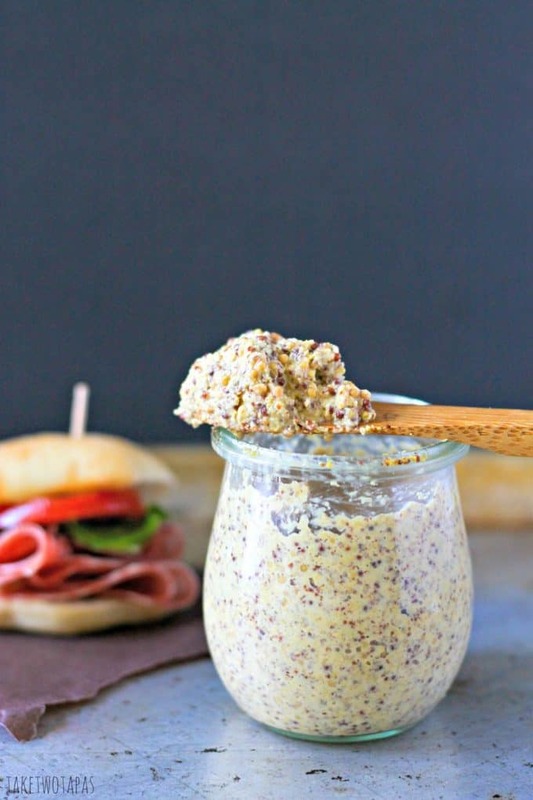 This is so easy, I’ve got to try it – I love whole grain mustard. I am not sure I am brave enough to try my hand at ketchup but since we don’t eat a lot of it in our house, I don’t feel the urgency to do it. Perfect for you because you can control all the additives:) Hope you are doing well! I’ll have to find some mustard seeds and try this out. It seems easy enough. What were your favorite extras you mixed in? I loved honey, champagne, horseradish, and olives! What a simple and fabulous DIY. Can’t wait to try it. Adding in horseradish sounds wonderful, but I might get a bit more adventurous, too. ooh, now I want to make all of my own condiments. I’ve done ketchup and bbq sauce, but mustard is my favorite. cannot wait to give it a try. Mustard is my favorite condiment, and I had no idea that making it at home was so easy. Love this! I’ve never attempted to make my own mustard but anything homemade must be better than store bought. It would also make for a great hostess gift. Love this idea. Pinning! This was my first attempt because my store stopped stocking my favorite and when I went paleo, everything had sugar in it! Thanks for reading! I loved you mustard recipe. It sound delicious. Will have to try it myself real soon. 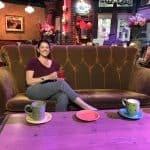 Good luck with whole30!